WWE Smackdown Live opened with Smackdown Commissioner Shane McMahon and General Manager Daniel Bryan, alongside the entire women's and tag team division. 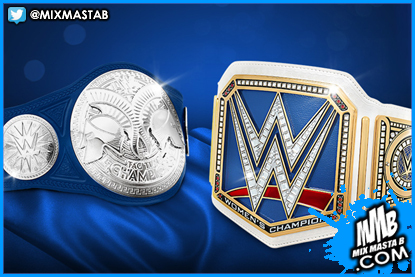 They unveiled the brand new title belts - the "Smackdown Women's Championship" and "Smackdown Tag Team Championship" - which are blue-tinted takeoffs on the already established championships. The Women's Championship will be decided in the first-ever women's six-pack challenge at Backlash, featuring Nikki Bella, Becky Lynch, Carmella, Alexa Bliss, Natalya and Naomi. There will be a tag team tournament to crown the Smackdown Tag Team Champions. As the segment continued, Heath Slater emerged from the audience and demanded a chance to compete for the tag titles. Shane and Daniel told Heath that if he finds a partner, he can compete - but he won't be given a Smackdown contract unless he wins the tournament.